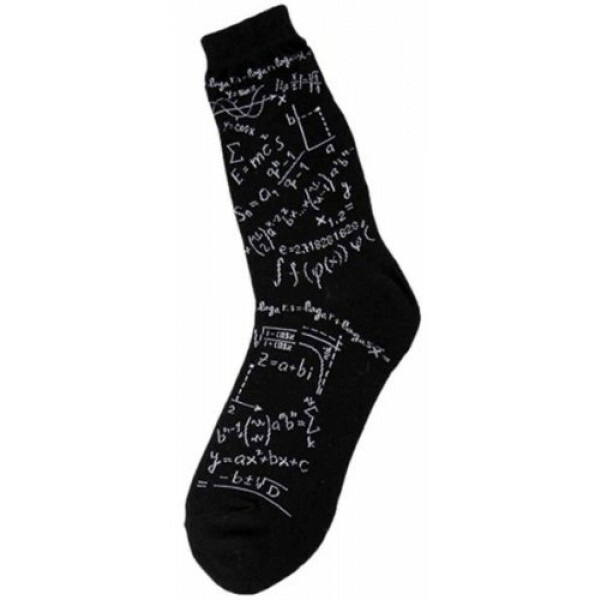 Logarithms, trigonometry, physics...she can master them all with this pair of socks from Foot Traffic! These fun 65% cotton, 15% nylon, 15% polyester,and 5% Spandex socks feature a wide variety of equations and graphs that are sure to inspire a math-loving Mighty Girl or woman! Available in one size which fits most women's shoe sizes 4 - 10.